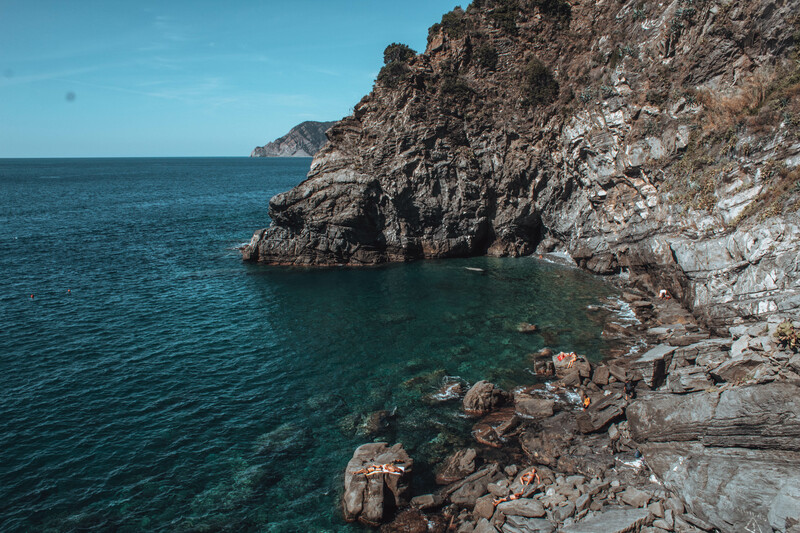 Monterosso is the beach everyone thinks of when picturing Cinque Terre. However, I happened upon some dreamy beaches you won’t want to miss. Because why would anyone want to miss out on paradise? Don’t get me wrong I actually enjoyed the tourist invested beaches with vendors coming up to me trying to sell me a dress. The whole experience is fun. 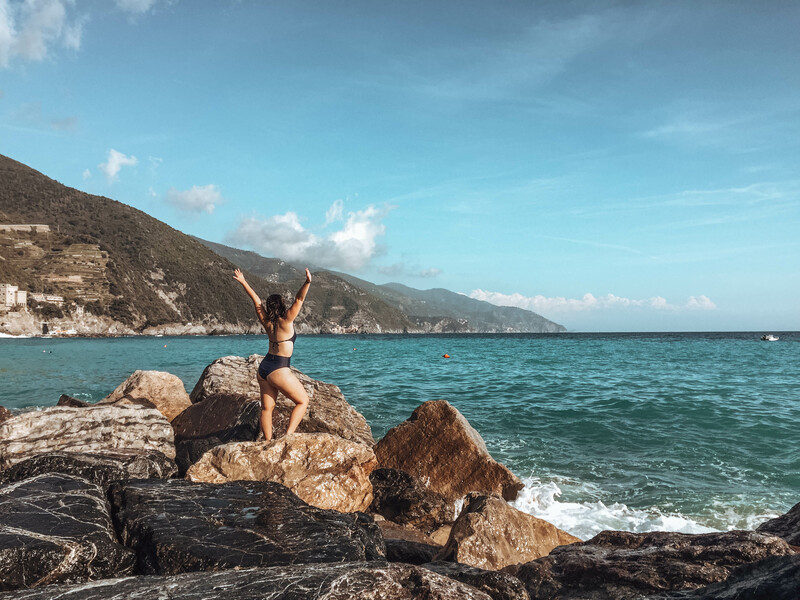 I don’t mind that the beach in Monterosso is super crowded, but when I accidentally stumbled upon two hidden beaches in Cinque Terre I had found my paradise. The first hidden beach I discovered is in Riomaggiore. I traveled down to the water to get a unique perspective of the colorful buildings behind me, and to take a look at the crisp blue water I had been dying to see. What I didn’t expect to see was a beach. Off to the left, after you walk down to the boats, there is a small beach with very few people. Not expecting to find such a treasure I did not have my bathing suit with me. Instead, I simply jumped in the water with my clothes on. 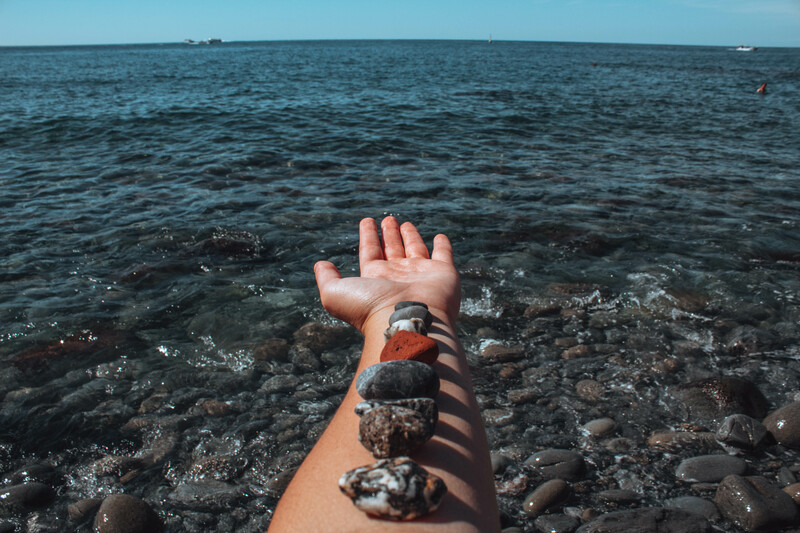 An interesting feature of this beach, other than the fact that it is so secluded, is the gigantic rocks that cover the beach like sand normally would. Laughing loudly at one another for slipping on the algae smothered rocks at our feet. 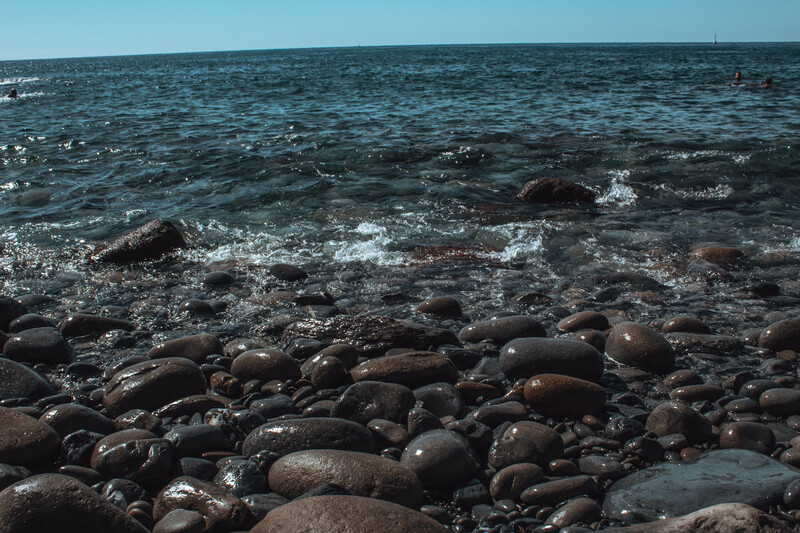 The water is cool, the rocks are warm. In order to get into the water from the warm inviting rocks, I had to just jump in. 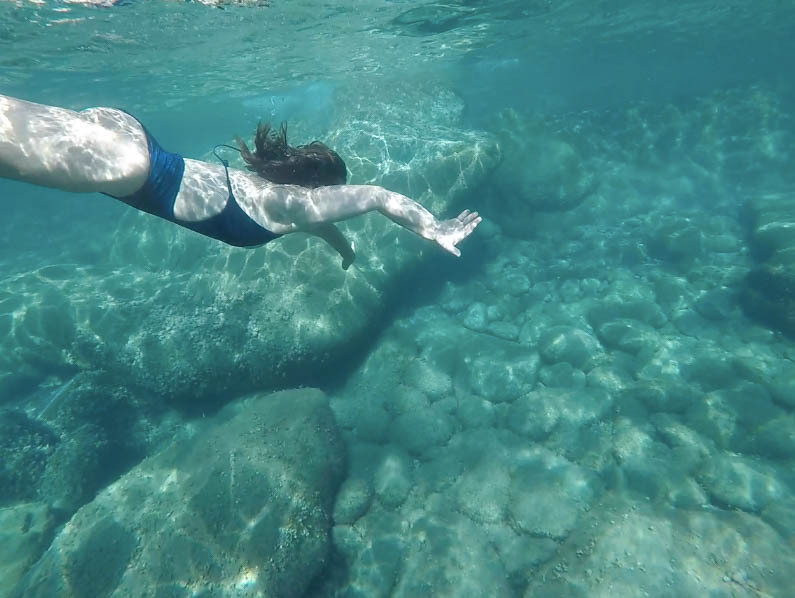 After a good swim laying on the rocks feels like I am finally channeling my inner mermaid. 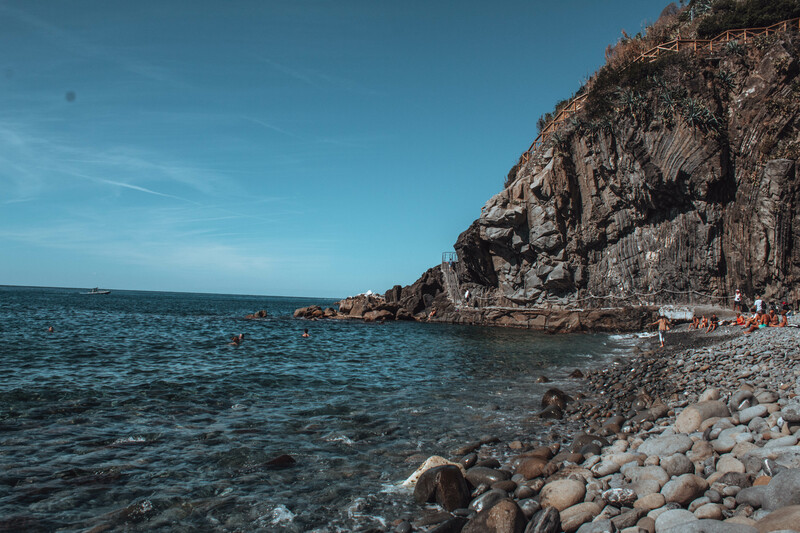 The second beach I found is nestled into the city of Corniglia and is by far my favorite. When I first arrived at this luxury location my mouth hung wide. There is no way a place like this is real. I felt like I was swimming in a dream. I don’t know if you are someone who is blown away by nature and beautiful things, but I am. And I am blown away. Hours of lounging, swimming and climbing on rocks nearby, and with hardly no people I found my own personal paradise. No matter how to you do Cinque Terre. Whether you are more of a beach person or an avid hiker there is no better place for pure bliss.